MoRe: Our correspondent heads to Pittsfield in search of Melville. In Orange, the “Keeper of the Flowers” preserves the past in petals. The Gardener’s Companion speaks plainly. MR at the Farmer’s Market talks Millers Falls and Rainbow Gatherings with a local artist. This month’s Children’s Page walks you through making kitchen spoon puppets and invites you to give it a try this Saturday at Gill’s Slate Memorial Library. 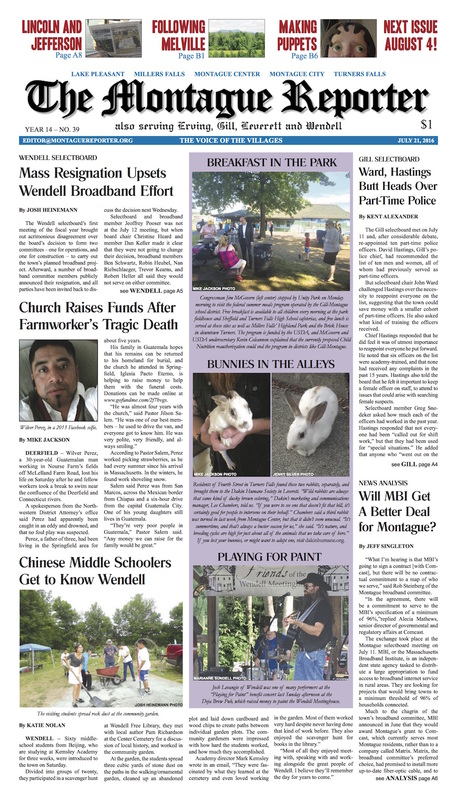 Plus: theater and movie reviews; police logs from Montague and Gill; arts and entertainment listings; Healthy Geezer; Pet of the Week; and much more. 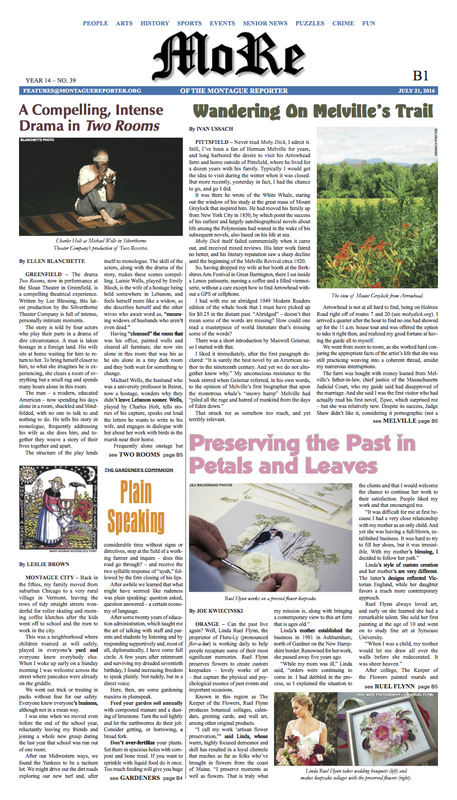 Pick up our long-awaited mid-July issue today, and savor it until our next publication on August 4!